Sometime cupcake recipes and decorating can be a little bit tricky (not treaty) or we just don’t have time to style our cupcakes like a pro baker. 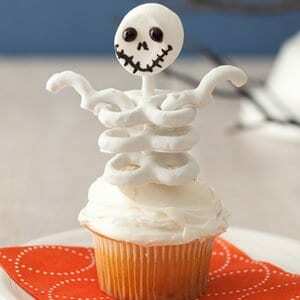 These easy Halloween cupcakes are spooky cute and sure to get gobbled up in no time! 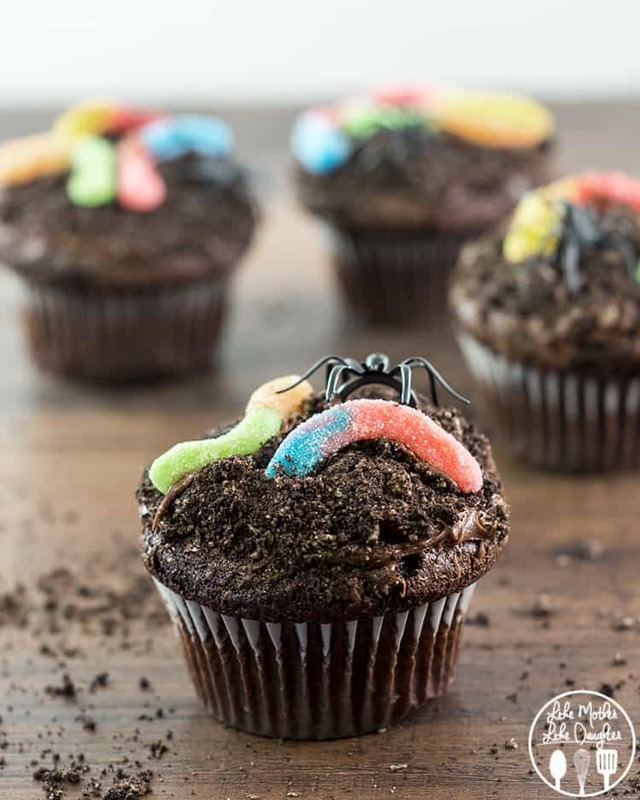 If you are not into gory Halloween treats, fear not these cupcakes are definitely G rated and would be fun to make with little helpers you might have in your kitchen. 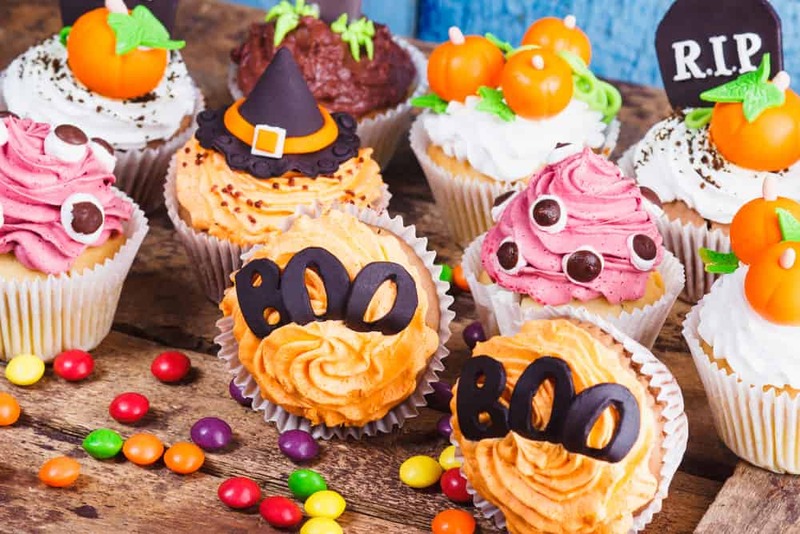 Check out these wicked easy Halloween cupcake recipes below and let me know what you think! Who said monsters have to be scary? 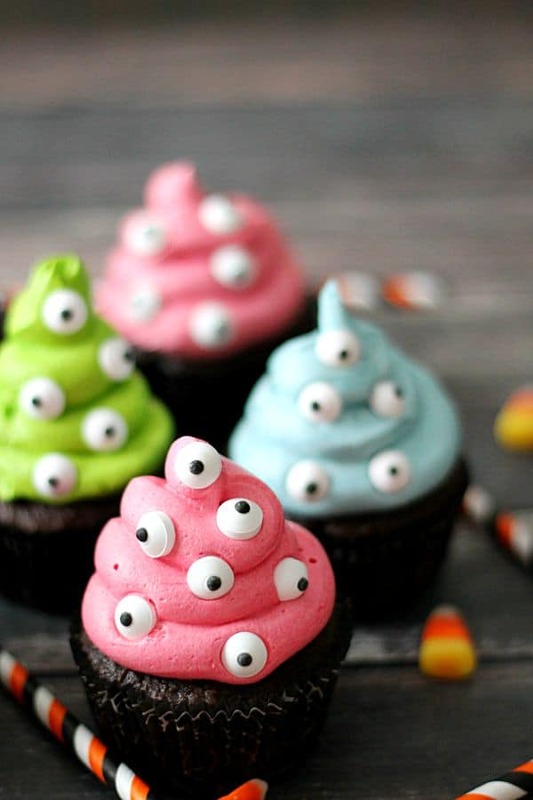 These little monsterosities are adorable and super easy too! Her buttercream recipe from scratch is AMAZING, you may never want to go back to store bought frosting again! 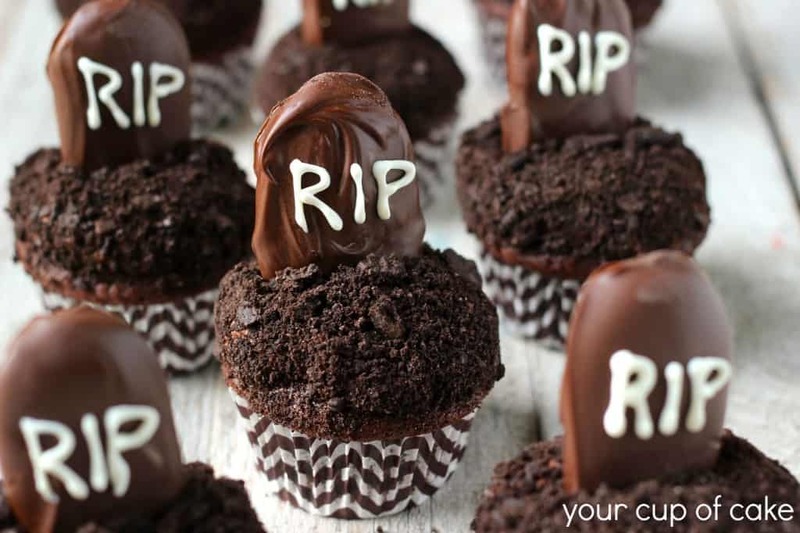 Cookie tombstones and Oreo dirt make for a spooky graveyard! She clearly lists all her steps and offers plenty of pictures, which makes these cupcakes fool proof! 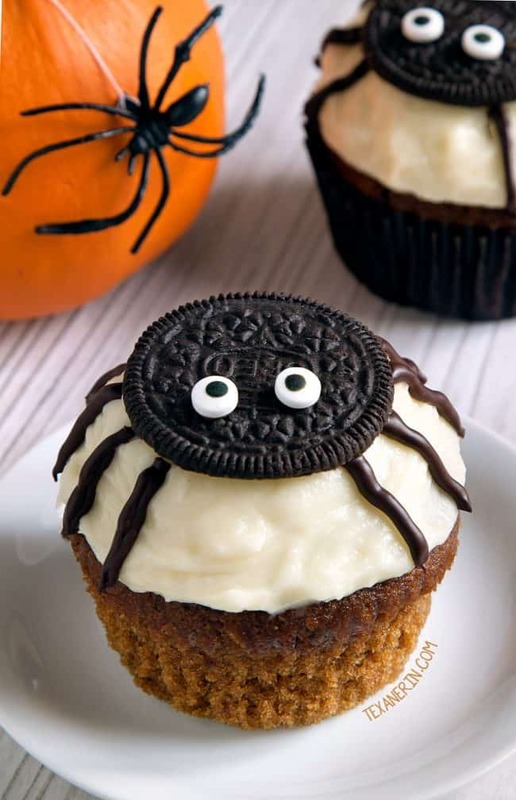 The only spiders I would love to see are Oreo spiders of course! Real spiders please just stay far, far away. 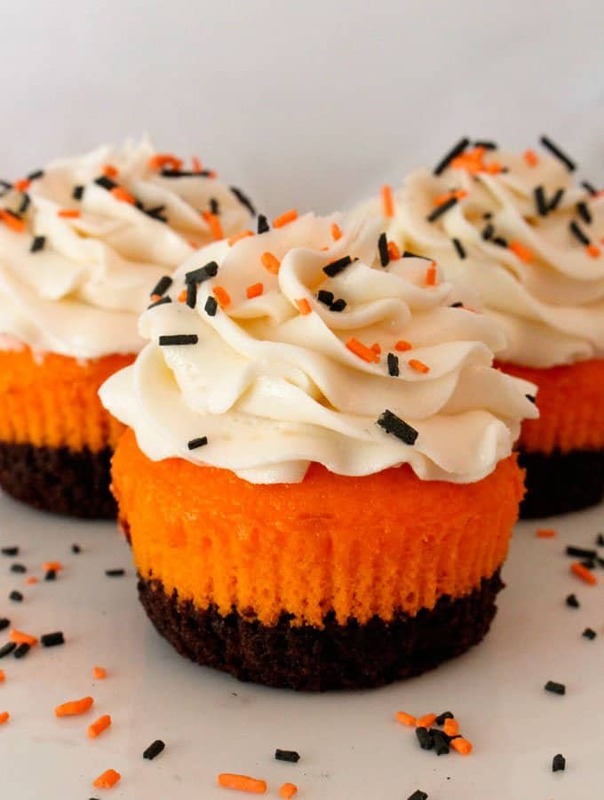 These delish pumpkin flavored cupcakes are made with regular white flour, but whole grain and gluten-free variations are also listed. The early bird gets the worm…and cupcakes!! Who doesn’t love some good gummy worms? Her spider topper idea is super creative, you’ll never believe what she used…very clever! 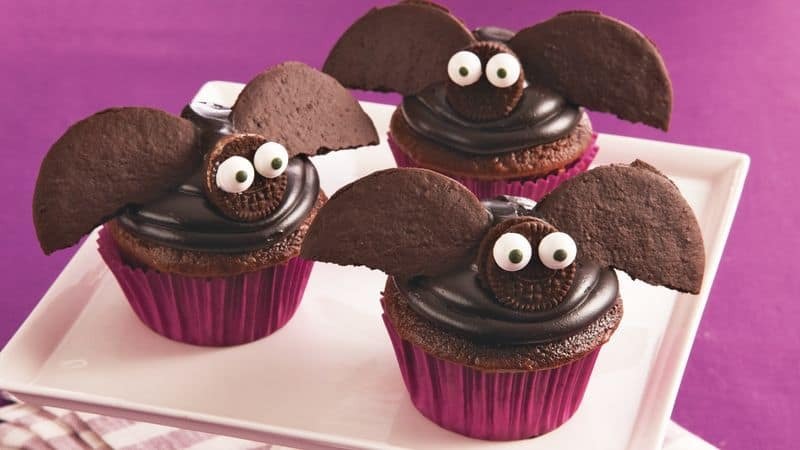 These bats made of chocolate cookies and Oreos are positively batty!! Guys, please forgive me for all my puns! Be sure to check out the post to make these cute toppers. This cupcake recipe looks delish as well! These festive cupcakes are comprised of two layers, a sweet white cake layer atop a chocolate brownie layer. You can top with store bought sprinkles or they also include a homemade sprinkle recipe. How sweet is that? A yogurt pretzel body and marshmallow skull makes one frightful skeleton. The kiddos will really love this one and check out the easy directions to make these little skeletons! 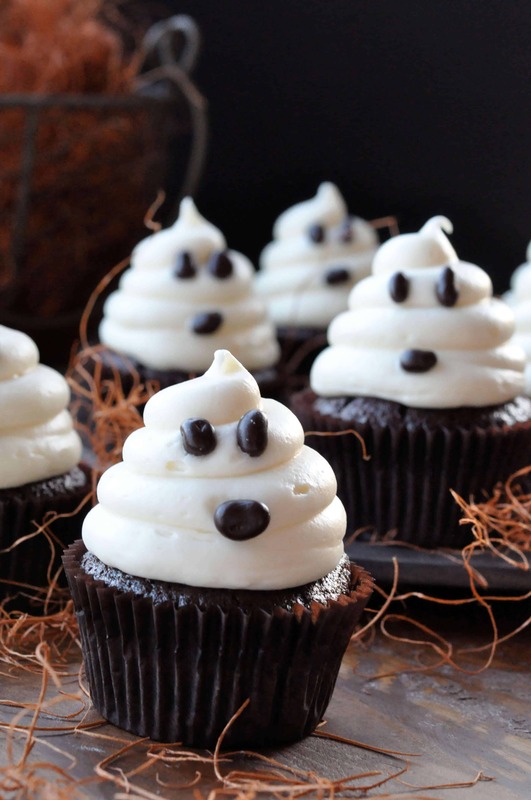 Made of delicious carrot cake and adorned with chocolate chip eyes, these ghosts will be a hit at Halloween parties! This carrot cake recipe is so yummy! 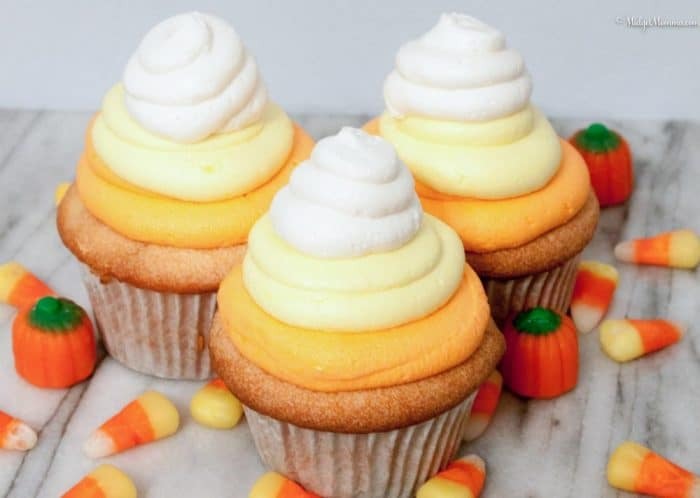 This candy corn cupcake is so sweet and another variation I have seen is using food coloring to dye the cake part yellow or orange. She also gives you a lot of frosting and cupcake recipe flavors, but you don’t have to choose just one! These bewitched cupcakes boast a tasty cream cheese frosting and are topped off with a witches hat made of an Oreo and Hershey Kiss. Check these out, they are really cute! Want more fun Halloween ideas? Follow my Halloween board on Pinterest! Happy Halloween! I love fixing treats for my grandkids and yours was so cute and that loved them thank you. Shawn, I’m so glad you liked them! I’m sure you’re creating some lasting memories making them for your grandkids!